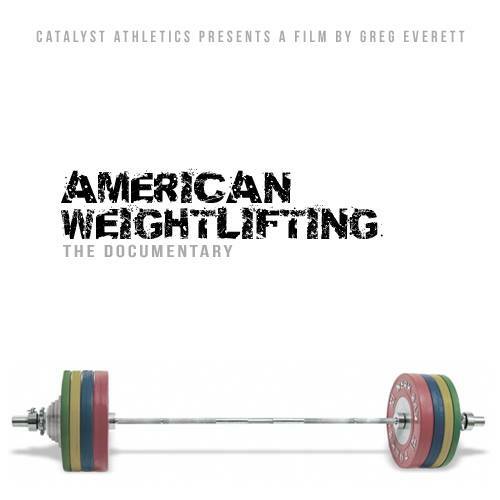 About two weeks ago, I had the opportunity to watch the upcoming documentary ”American weightlifting” made by Greg Everett (See interview here). I wanted to review this documentary because weightlifting documentary are a rarity (there is Strong! and that’s pretty much it). It includes many interviews with mainly american coaches and seeks to highlight unique aspects of weightlifting : training, competition, older athletes coming from another sport, history of some clubs and many reasons why the USA have a hard time on the international stage. Below is my review of the positive and negative (because nothing is ever perfect) of this great effort by Everett. My review will be in a key point format for the ease of reading. Please read the conclusion for the final word. Overall, Greg did a very good job at making this documentary happen. It is well filmed as it has good picture quality and good sound quality. It is also well edited (although I would have cut some transition, personally). Most of the interviews last anywhere from 5-15 minutes which is great (see point 2). I really enjoyed getting to know the story of some coaches. Some of them were athletes from the 3 lifts era and I think that seeing all those old photos (sometimes videos) was great. You will be amazed by those old pictures and stories. The documentary is made in such a way that we get to know the coaches quickly as well as their background. The documentary gives us insight about how many clubs and gyms are trying to survive and their training conditions. Some gyms have it hard : Low ceiling, lack of space, bad equipment, etc. This is constant with the American and Canadian norm. We are confined to very small clubs and it is, for the most part, our reality. This documentary depict very well why the US is not a major force in the world as it once was. It goes into details about Drugs, medical assistance (physio/chiro/etc. ), budget, number of coaches/clubs, media exposure, etc. I won’t go into details here, as I don’t want to ruin the movie for the reader, but I am sure that these aspects will attract any weightlifter. One club has a weightlifting school program. It is basically full of kids. It is so big that some of the kids have to lift outside. I think that it was a very smart move of Greg to show the initiative of some schools that offer a weightlifting program. This is how you get new young talent in the sport. This is where the Olympic journey starts which means that we need more school with such programs. A lot of reasons for not being first on the international stage are given but few – or no- solutions are given. Being last – or close to last- should make us (I include Canada) want to be number one. It should have us think about what we can do to be among the best. Actually, there are plenty of things that we can/could do which I will write about in a future article. 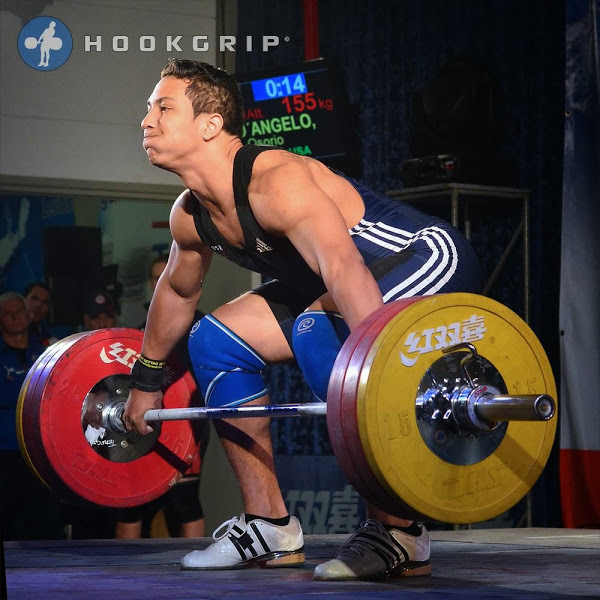 Although it is called American Weightlifting, it reflects mainly the south west scene of the States. Many big and successful clubs were not included such as MDUSA, Columbus weightlifting, etc. The OTC, where the trainer himself won a medal at the Olympics and produced many Olympians when he was training in Poland, is not part of this documentary. Granted this could be due to the limited budget and the DYI approach. It is not really a big negative point, just something I would have enjoyed personally. Upon watching the documentary, I would not have guessed that it had literally no budget and was made by only one person. It is not amateur and it is very professional looking. I think that it is overall a good documentary and I hear it is going to be pretty cheap to buy. I think what Greg was aiming for was to show the big picture of weightlifting in the States and I think he succeeded at that. Most of the negatives point I wrote can be linked to low budget and low man power. I would say watch it because you will enjoy it. Just remember, it is still up to us to change things around and improve our odds of becoming dominant countries (US and CAN) in this sport. Indeed. We ought to do it more. Many interesting characters in weightlifting.